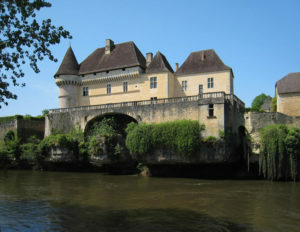 The Castle Losse is located in the town of Thonac, in Vézère Valley, in the French department of Dordogne. Historical monument Aug. 5 19321, it is open to visitors. 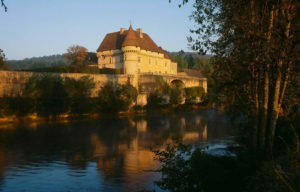 Set in Périgord at 5 km from Montignac-Lascaux towards the Eyzies (18 km), the castle dominates the Vezere Valley. 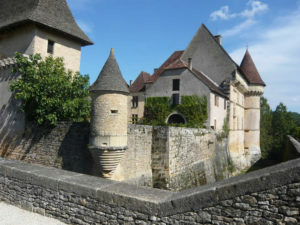 Enclosed by walls lined with deep moat, the medieval fortress built in cliff above the river gave way in 1576 to a pleasure palace, Renaissance and according to the wishes of Jean de Losse. The delicate sculpture of the facades and the rightness of proportion of the volumes form a backdrop for the beautiful scenery and for the remarkable furniture antique sixteenth and seventeenth centuries that adorn the apartments. On the ramparts, the daily of the epoque is also mentioned in the tower of the spur (fourteenth century) with the oven and the rest room. 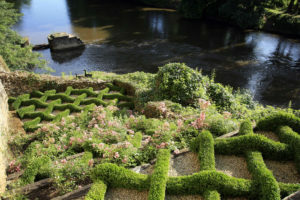 The walk in the green rooms of the terraced gardens decorated with fragrant plants leads to a beautiful view of the river. The gardens have the label "Remarkable Garden".